NOTE: All members of your ORGANIZED GROUP must attend to be a part of the Group Study Program. If the whole group is unable to attend, please select Vocal Registration and complete the registration process for each individual attending. Please select an OFF CAMPUS option if you are staying on a self-contained bus or motorhome. If you are interested in taking Private Vocal Lessons, Private Piano Lessons or Private Songwriting Lessons, select one or both of the class types you would like to take. All Piano Students receive 5 - 45 min priviate lessons as part of their tuition. You may select 3 additional private piano lessons if desired. You may also choose private voice or songwriting lessons as well. If you select GROUP REGISTRATION, you must also select GROUP PRIVATE LESSON FEE and add it to your shopping cart. This $200 fee is payment for 8 Private Group Lessons you will take as a group. Please include your Group Name and the individual group member names in the Add Additional Note To Merchant section in shopping cart. Once you have selected your Program Study of choice and selected the options for Private Lessons, complete the registration process by adding your selections to shopping cart and completing your personal and billing information. Once registration order has been confirmed, you will receive an email confirmation of your registration order. 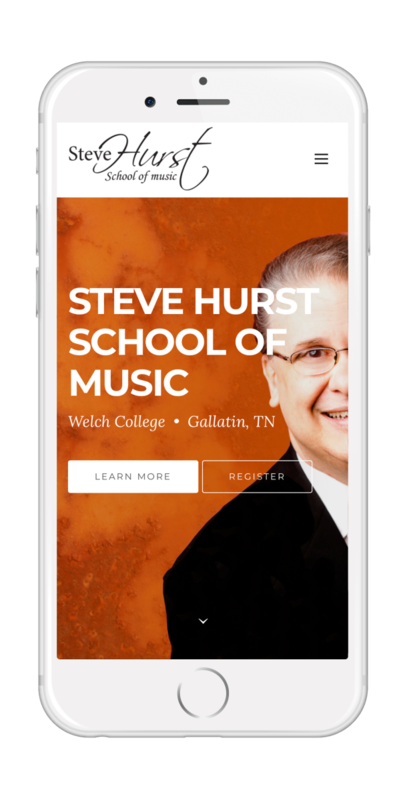 Once the Steve Hurst School Of Music has received your registration information and processed your registration, you will be contacted by the SHSOM office for further information pertaining to your registration and class specifics. If you have any questions or concerns about the registration process, please contact SHSOM offices at +1 (815) 742 9532 or +1 (615) 430 5023. You can register with confidence on our website through Square. All payments are secure and all personal information is kept private and never shared or sold.